Bicester enjoys an excellent reputation for shopping and retail, its world-famous outlet village drawing visitors from across the UK to browse discount sales of high-end clothes, shoes, jewellery, and accessories. This exclusive reputation also highlights the area as a target for thieves. 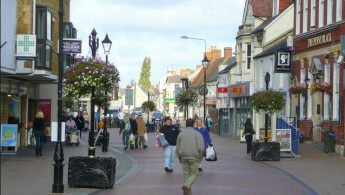 In 2015 there were around 80 burglaries in Bicester Town alone, making security in Bicester a prime concern for both shop owners and local residents. We have worked with business owners and residents in the Bicester area for over 30 years to secure your shops and homes against criminal activity. Using a range of security systems and our expert services, we help to protect what matters most to you, whether this is your family or financial businesses assets. Our familiarity with the area enables us to advise you on the best kinds of security systems for your property so that you can sleep easily at night, safe in the knowledge that you and your premises are protected.